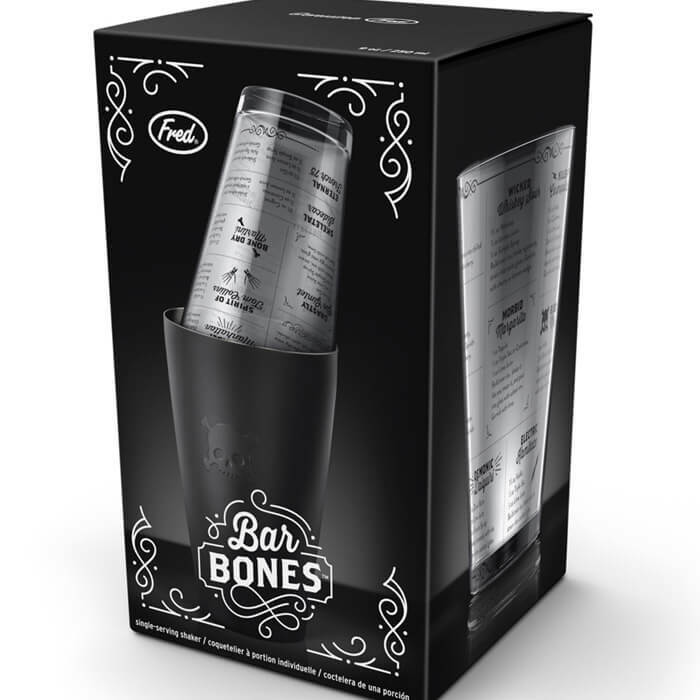 Go ahead, pick your poison - then conjure up your favourite cocktail creations with Bar Bones Boston shaker. 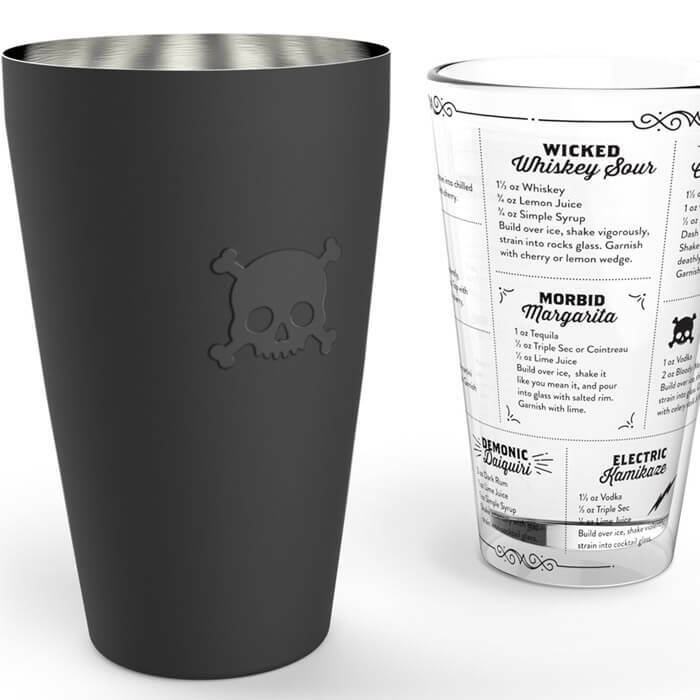 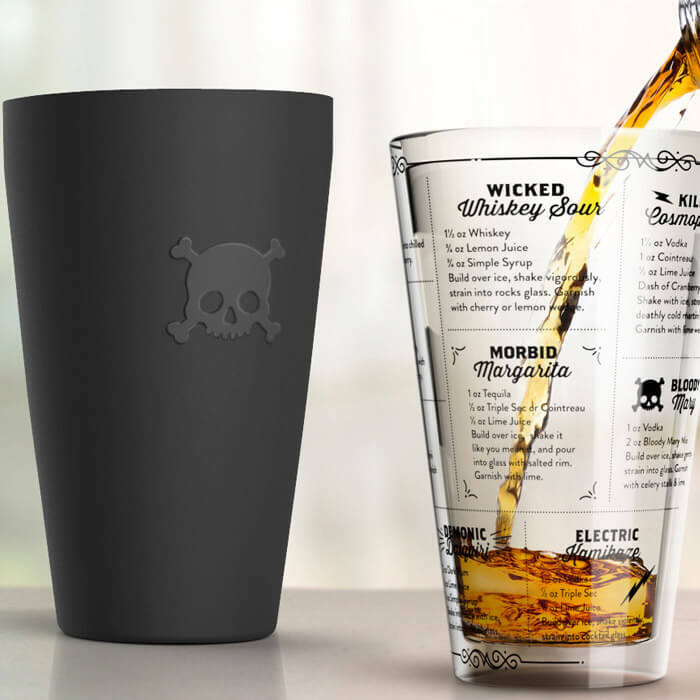 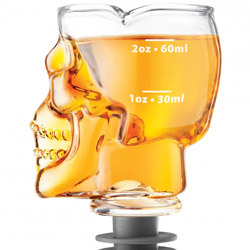 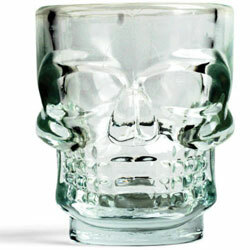 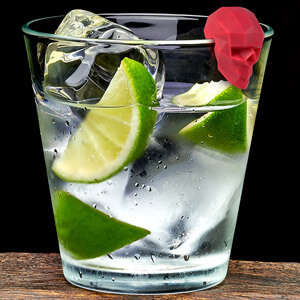 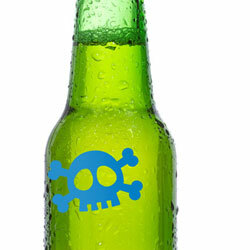 Sized for single cocktails, each graduated glass is printed with 13 ghastly recipes, and holds 9 ounces/250 ml. 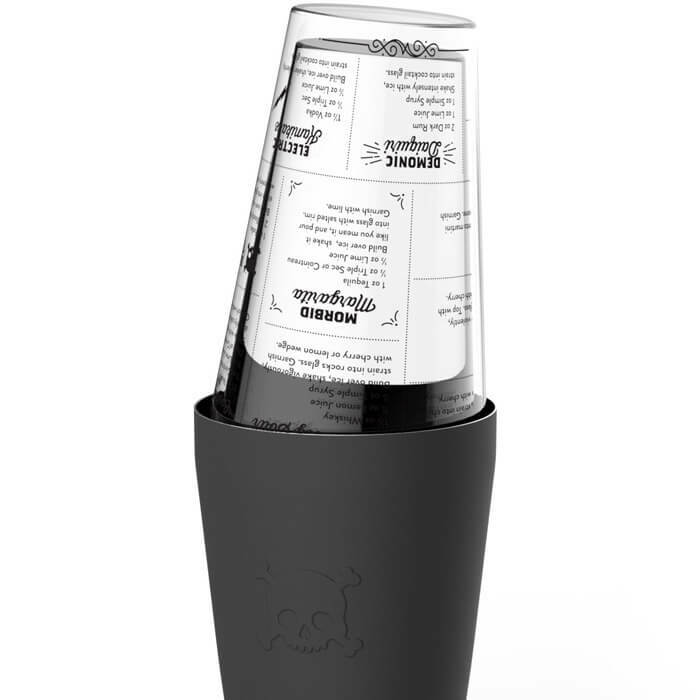 Stainless steel shaker is plated with a velvety, soft-touch finish.